You've played Tetris on portable devices before, but how about on a business card? Well now you can, thanks to Kevin Bates and his Tetris MicroCard creation! While there are all sorts of portable versions of Tetris available, there's one very special and unique version out there. What if we told you that you could enjoy a game of Tetris on a piece of tech the size of a business card? No, this isn't some pipe dream. 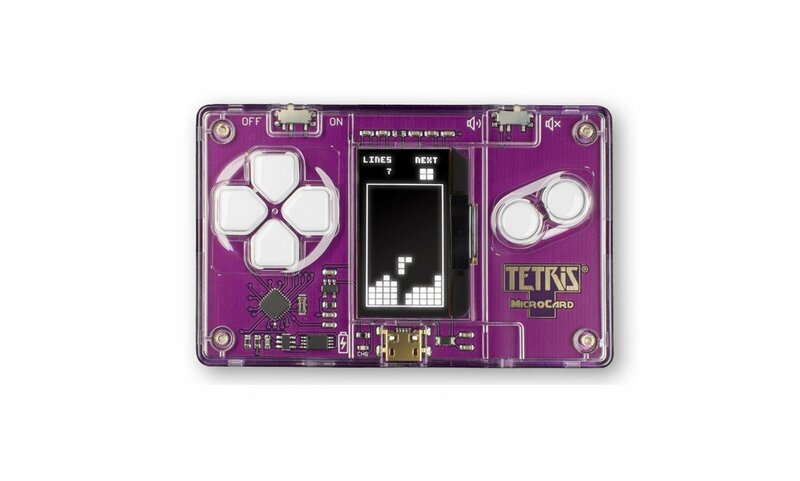 The Tetris MicroCard is real, available right now, and is the creation of the uber-talented Kevin Bates. We recently sat down with Kevin to discuss this modern technical marvel, resulting in the one of the coolest ways to play Tetris! Q: How did the idea for the Tetris MicroCard first come about? A: Originally I was just building electronic gadgets for myself, having fun learning about making circuit boards and programming microcontrollers. I’ve been a fan of video games my whole life and so tried to see how small I could make a gaming device in my spare time. It wasn’t long before I had created a small device the size of a credit card but at first it just had a technical demo showing off the functions of the system. Q: How long did it take you to build the first working prototype? A: It’s tough to say exactly because the prototype took many different forms in the beginning. Originally it was something the size of a shoebox but eventually made it down to something that can fit in your wallet. I would say the process took about 2 months, working in the evenings and weekends. Q: What made you choose Tetris for your incredible device? A: I had posted it to reddit and a lot of the comments were focused around the desire to see an actual video game on it. Looking back at it now, not much thought went into the decision to put Tetris on the device but a lot of it was subconscious. Tetris has always been a part of my life in some way or another, as a kid I played the game continuously on my original GameBoy and it’s something I think we all think about when loading the moving van. Another way of saying, everyone knows about Tetris, but at the time I didn’t realize how big the impact would be! Q: We were shocked seeing your device for the first time. Have you seen other similar reactions when you revealed the Tetris MicroCard? A: People really like it, that’s for sure! People can’t believe how small it is, and can’t figure out how it’s possible sometimes people don’t realize where we hid the battery because we had it custom made to be so small (it’s only 1mm thick). It’s the exact same width and height as a credit card and still people are astonished when you prove it by overlaying one on top of the Tetris MicroCard. The laser engraved Tetris logo on the back always is a crowd pleaser as well, people really like that and I think that helps make it a great collectable item. Q: While the size of the Tetris MicroCard is surprising, the look of the entire case itself is ridiculously slick. How many revisions were there before you settled on the final aesthetics? A: So many that I’ve lost track! Several dozen at the very least. But it all happened pretty fast because how easy it is to access technologies like computer aided design (CAD) and 3d printing. I could turn out a new prototype in about a week. When I knew I was getting close I worked a lot with [The] Tetris Company to hone the brand image of the product and really perfect it. A lot of credit goes to the team over there because they both supported and pushed me to do what ended up being a great looking product. 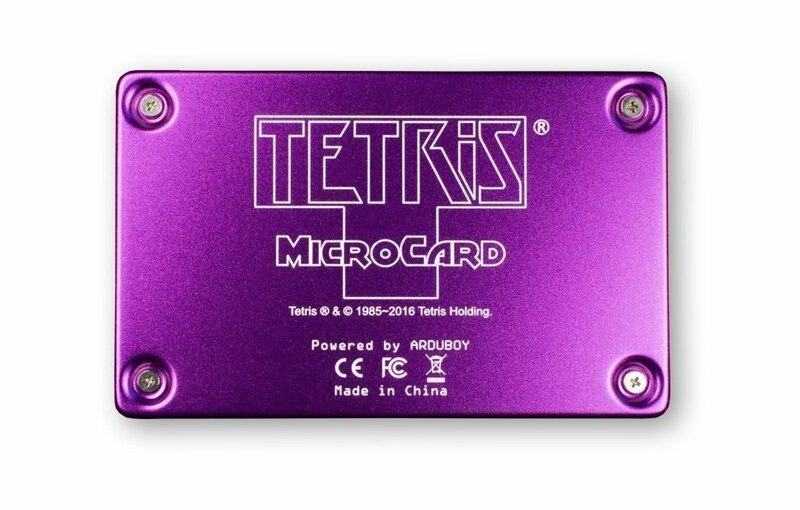 Q: How long can the Tetris MicroCard go on a single charge? A: The battery can last about 5-6 hours between charges and only takes 15-20 minutes to fully recharge. Q: Are there any features you wanted to implement but didn't with the Tetris MicroCard? A: So many! But that’s one of the areas that the folks over at [The] Tetris Company helped with the most is keeping the product sharply focused on providing a familiar yet unique Tetris experience. Looking back there are a few things that I think the game could benefit from, like the ability to toggle the ghost piece and maybe adding a few more songs and maybe some more fancy effects. When we first started developing the game, the memory constraints were a big issue because the chip we are using only has 32KB of flash memory, which today seems like a ridiculously small amount. We ended up conquering that challenge with space to spare but then the real constraint was our production timeline. At the end of the day it’s still a solid bit of kit so I don’t regret anything. Q: We've got to know... what's your high score on the Tetris MicroCard? A: I’ve got pretty good at Tetris while developing the product, but it wasn’t until I was tracking down a particular bug in the code that only happened after reaching level 20 was I forced to get serious about how I played, now I can get there fairly predictably. To be honest I have never really had the time to sit down and try to set my best score, but I played just now on a unit we displayed at some conventions and got 94,224 only to find it’s not even the high score on this device! There are some real Tetris champions out there, and I’ll leave the high scores to them! Q: Where can Tetris fans get their hands on their very own Tetris MicroCard? A: The Tetris MicroCard is available all around the world in many retail outlets if you look for it but the easiest way to get one is by visiting the Tetris MicroCard website. We want to send out a huge thanks to Kevin Bates for taking the time to chat with us. His hard work and effort has resulted in one of the funnest and most unique ways to play Tetris out there. It was an honor to chat with him and see how the Tetris MicroCard came to be! Overall, the Tetris MicroCard is something you have to see to believe. It's such an amazing package, and it packs an awesome Tetris experience inside! It's a bit of fun that's really hard to beat. Want to get in on your own Tetris action right now? 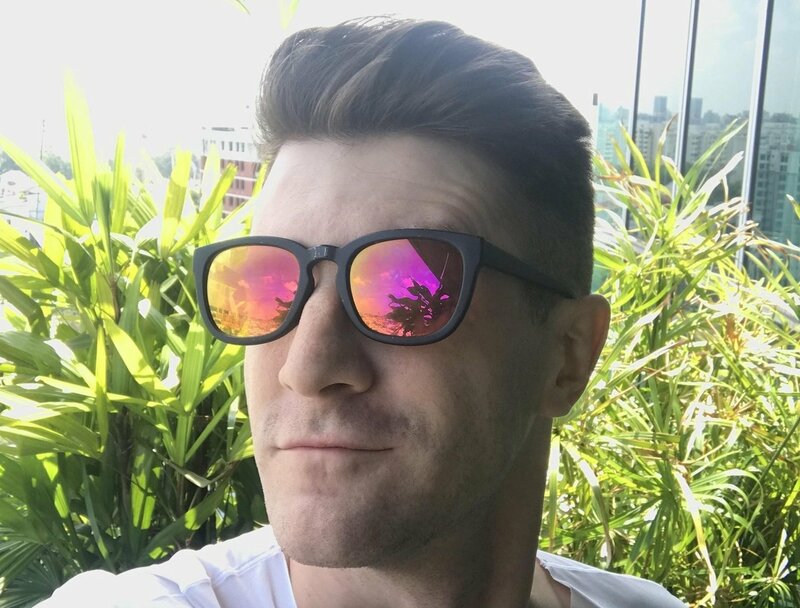 Click here to play Tetris for free right here at Tetris.com!